You’re driving. You need to know what speed you’re traveling at, how many miles you’ve traveled, how much gas remains in the tank, and what temperature your engine is running at. Now imagine how much it’d slow you down to go to four separate places to get that information. You’d have to stop and restart your journey each time you check one of those numbers. Sounds ridiculous, right? That’s why your car’s equipped with a dashboard, and why automakers keep updating dashboards to make them into more powerful tools that deliver more information at a glance. 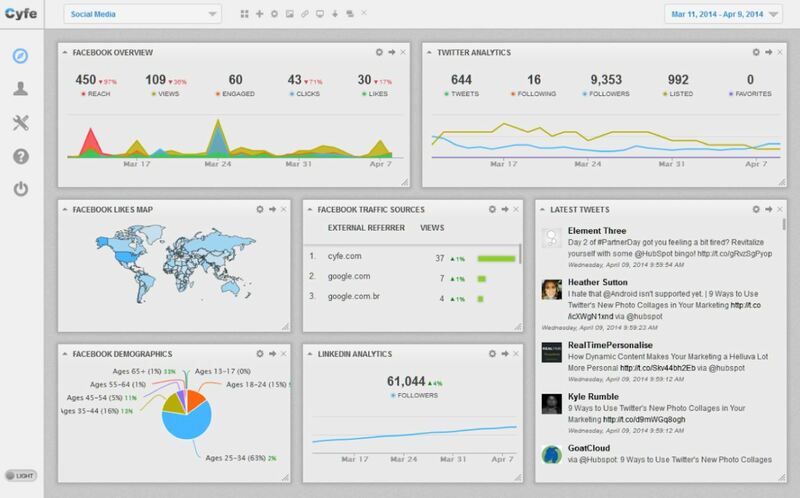 Now, let’s get to the point: Marketers need dashboards, too, else they burn time in pursuit of the numbers they need. And that’s no way to optimize your mileage (well hello again, metaphor). KPIQ, the degree of intelligence you bring to your marketing performance and measurement. Let’s work toward raising your KPIQ in three steps. Consumption: The most fundamental type of content metric, consumption can be measured as pageviews or downloads. Sharing: All of the various social channels offer sharing-related metrics (such as tweets and likes). Lead generation: This metric will generally come from form fills, which might be measured with your marketing platform or by Google Analytics (where thank-you pages indicate a lead was generated). Sales: Measurement of sales will require integrating your marketing automation platform and CRM or e-commerce system. There’s no need to agree that any one model is the perfect model or to embrace someone else’s suggested list of KPIs. 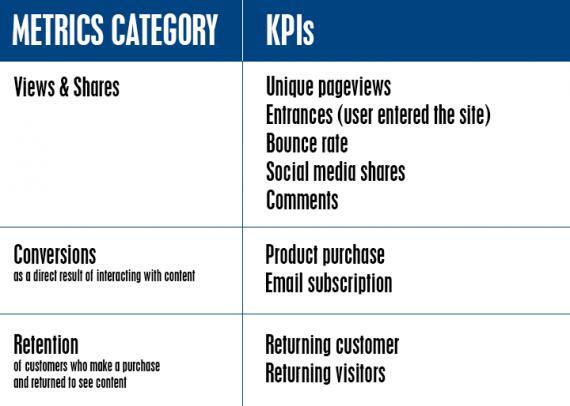 What is important is to create categories and KPIs that relate to your business’s marketing goals so that they’re meaningful to your business. Every marketing platform offers some sort of analytics. That’s good news: The numbers you need are readily available. That’s also bad news: It can take a ton of keyboard jockeying to pull information from so many disparate sources. Marketers—and other professionals who rely on metrics to make data-driven decisions—spend far too much time collecting, monitoring, and analyzing data. As new services get added to the mix, the problem grows more severe. A practical solution is to corral the needed data into a dashboard. 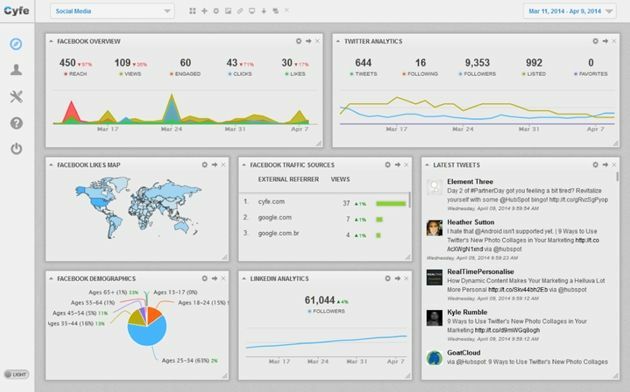 You can set up dashboards specifically for monitoring social media or Web analytics or a variety of marketing and sales data—in a single view. Key performance indicators become keys to optimizing your marketing only when you apply what you learn. Identify opportunities. Looking at a big picture of your analytics and how your digital marketing efforts work together (or don’t), helps you identify opportunities and make more intelligent decisions. Improve communication. When marketing data flows freely between departments and systems, teams are better able to align their efforts and achieve common goals. Streamline sales and marketing. 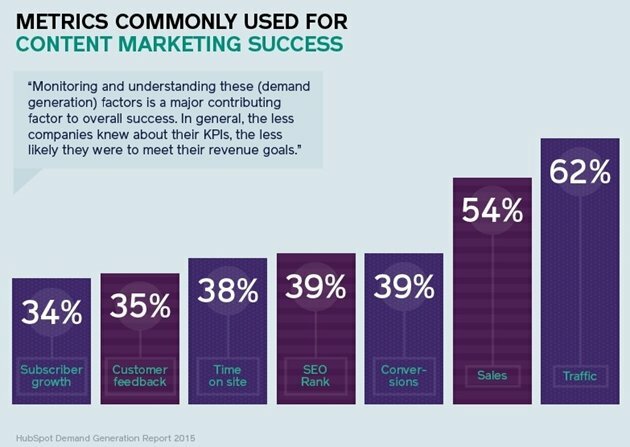 Companies achieve faster growth when they successfully align sales and marketing processes. Creating a central hub of intelligence to be used by both teams to target the right customers provides an important step toward achieving alignment. A study by McKinsey about analytics and the future of marketing and sales, found that companies that put data at the center of their marketing and sales decisions improve their marketing return on investment by 15-20%. Take a smarter approach to marketing by allowing performance indicators to guide your decisions. Watch what happens.